He missed a number of engagements linked with the celebration of Third World’s 40th anniversary last year but it was generally felt that he would have recovered enough to return to Jamaica this month. 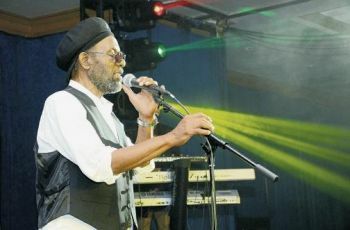 Clarke was born in Mandeville and replaced ‘Prilly’ Hamiltion as lead singer for the band in 1976. His first album with the band was ‘96 degrees in the Shade’ but is best known for the hits ‘Now that we found Love’ an O’Jays original, and ‘Try Jah Love’. Loved his performance at the Music Fest tho'. A great musical icon has passed on. May we remember him for his great voice. Sweet TW music. May his soul rest in eternal peace. As a Third World Fan it is with great sadness I offer condolences to the Third World fans ,Bunny family , to Cat, Richie and the rest of the Third World band. Thanks for all those great songs which kept me living in peace. Bunny will missed and may he RISE IN PEACE!! As a Third World Fan I would like to offer my condolence to the Third World band , family and friends of the Third World band, Cat and Richie. May his soul RISE IN PEACE!! The spirit lives...........we ain't giving up.